This file standardizes the counts to the log2 counts per million (cpm). The endogenous genes and ERCC controls are standardized separately because the same number of ERCC controls are spiked into each sample. 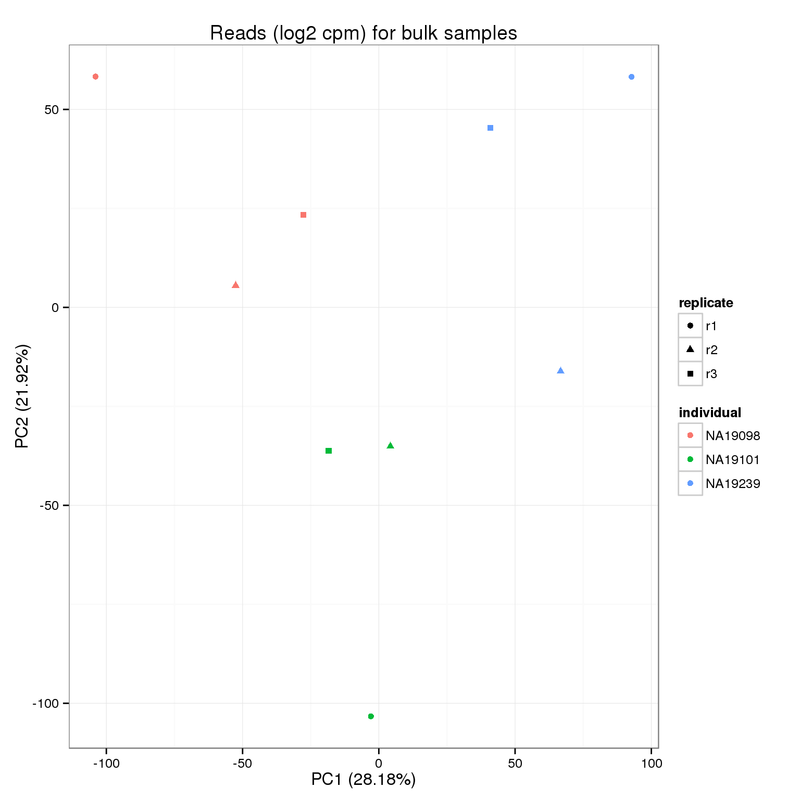 The reads for the bulk samples are processed as in traditional RNA-seq. 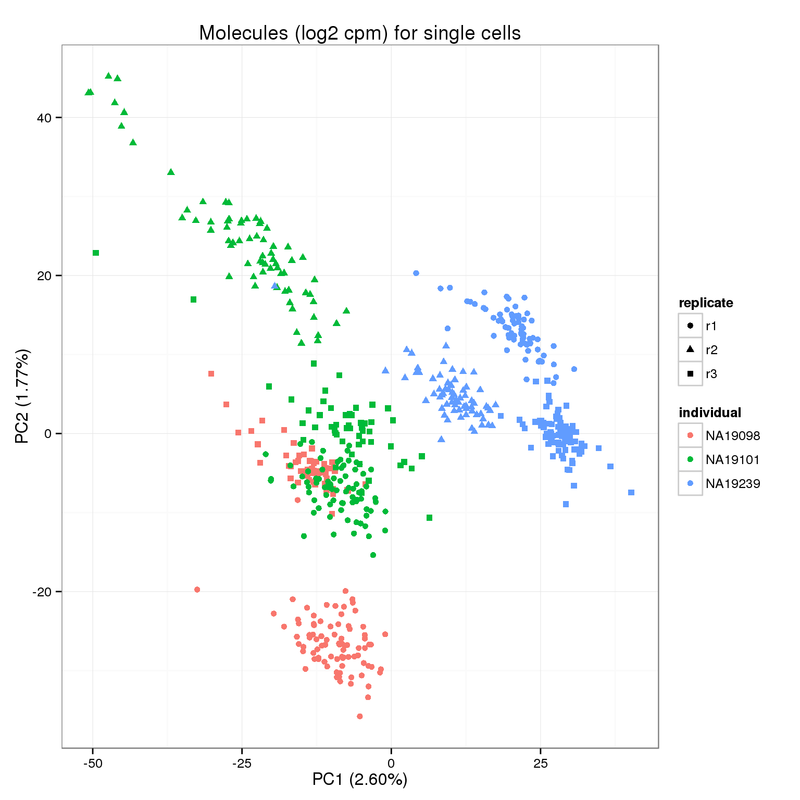 On the other hand, the single cell samples are processed differently. First, only their molecule counts are standardized. 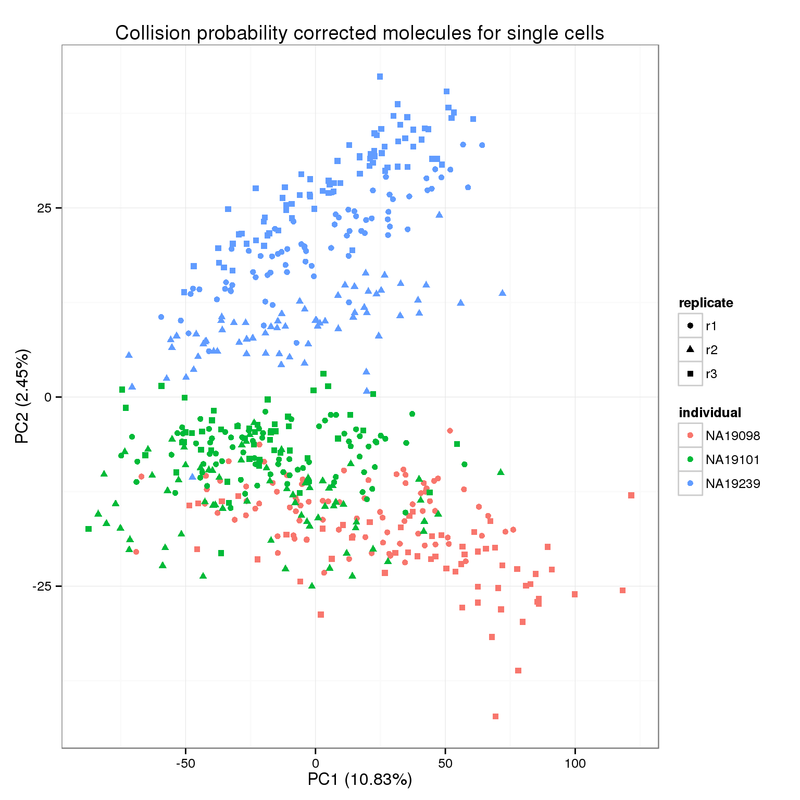 Second, the molecule counts are adjusted to account for the collision probability before standardization. Input filtered read counts for bulk samples. Input annotation for bulk samples. Due to the stochasticity of the sampling process, not all molecules will be tagged with a UMI and sequenced. We correct for this “collision probability” following the method applied in Grun et al. 2014. We calculate the log2 counts per million (cpm) separately for the endogenous and ERCC genes.